Many of you may have heard about our project by now. Permatil (Permaculture Timor Leste), xpand Foundation and Disruptive Media have come together to produce the Tropical Permaculture Guidebook. Developed from the highly successful Permaculture Guidebook from Timor Leste published by Permatil in 2008; used by farmers, families, community groups, trainers, government departments, schools, universities, agricultural colleges and NGOs in Timor Leste, and re-used and translated in more than 10 countries. 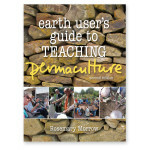 The guidebook is open source because that is the permaculture way, and with rapid change desperately needed, we need permaculture education and resources to spread as fast as possible. Across the globe it is clear that a big shift is starting to occur; towards small-scale intensive, organic, family owned agriculture systems. We can help accelerate this, and ensure that permaculture’s whole systems design approach is integrated as well. Enabling this change to occur requires farmers and families having access to the information, strategies and techniques they need. This guidebook tackles these fundamental issues on climate change, simultaneously providing permaculture’s solutions and creating community resilience. It turns theory into practical steps that anyone can take and use to affect positive change. All aspects of food production and living are covered, including a focus on agroecological, small-scale, organic food production, integrating crops and based on regenerating soil, water and the surrounding environment. The new edition is a comprehensive up date; including hundreds of new illustrations, new chapters and techniques, with the content now generalised for all tropical countries. The easy to understand information can be used by readers of all economic and social backgrounds, and with over 2000 detailed illustrations, it is especially useful for semi-literate and illiterate people. Once the English edition is complete, and when further funding is attained, translations to other languages including Spanish, French, Portuguese and national languages will commence. 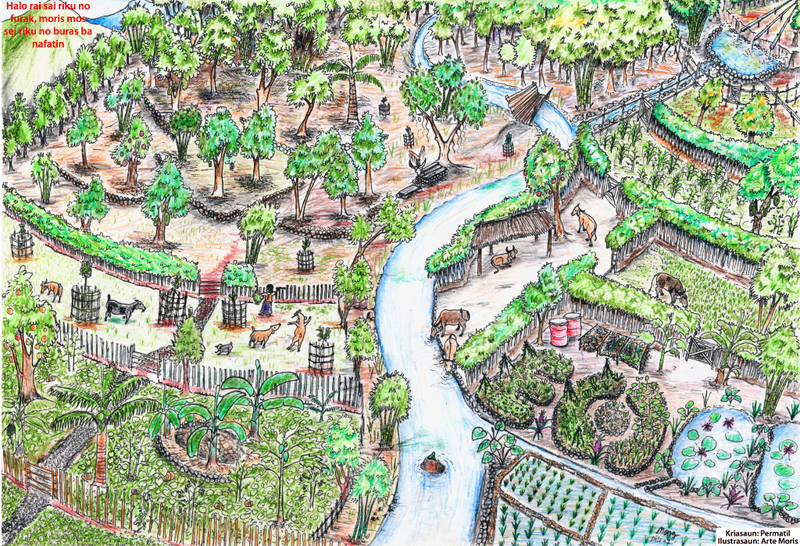 Follow us on Facebook at Tropical Permaculture Guidebook and you can also sign up to the email list to receive occasional updates regarding the progress of the guidebook, both online and printed editions. There are currently six chapters completed and available from www.permacultureguidebook.org with the other chapters being added as they are finished. If you are able to support the project by donating a small amount of money, it will help achieve the production goals and keep the guidebook free for those who can’t afford it. There is a donate button next to the chapters for download, or you can go straight to the crowdfunding campaign. 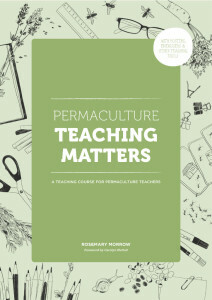 “Several years ago I came across the original publication and thought what an excellent resource it is for villages and teachers of permaculture. It’s strength lies in the number of strategies and techniques it offer practitioners. The book is easy to handle and well indexed. The drawings are clear and represent a reality for readers. It is especially valuable in being available in several languages. I introduced it to a permaculture design class in East Timor and the students were excited to have information of such good quality. The book’s potential is beyond the islands of SE Asia. For example I had some chapters of the book translated into Luganda in Uganda and it was immediately swallowed up by keen students and we could have printed many many copies. Regarding the Tropical Permiculture Guidebook. Currently, I’m living in Timor Leste with my family. 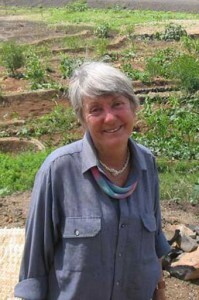 I’m an avid follower of Permaculture in Australia so I contacted Permatil in order to volunteer with them. Here’s the thing, you mention that this resource has been given freely, but Permatil appears to be in need of funds themselves in order to continue with their work here in Timor? I’m confused because it appears that xpand are raising funds through one bean, one seed and oneplanet which is a very clever model, but I can’t see how Permatil are benefitting from this? I’m sure there is a lot that I am not aware of, but from here in Dili, I can see that Permatil have a few local Timorese staff and precious little resources. The quote from Rowe was with regards to the original book that was published in 2008. Probably best that you ask Lachlan McKenzie and the crew who are putting together the book at permacultureguidebook.org – see the bottom of the page for a contact form.